Curiosity Killed the Bookworm: Win Behind Her Eyes! Want an advanced copy of Sarah Pinborough's new thriller? You've come to the right place. 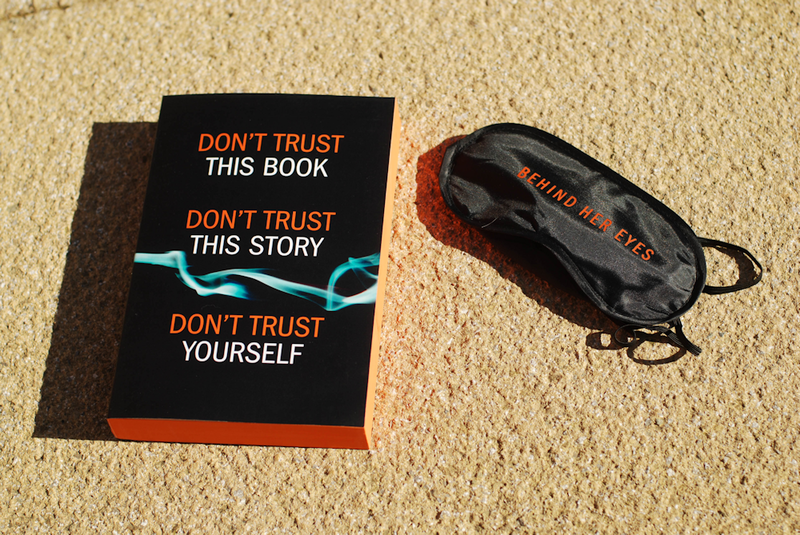 One lucky winner will receive the pictured, orange edged proof of Behind Her Eyes along with a special eye mask. As Louise, David's new secretary, is drawn into their world, she uncovers more puzzling questions than answers. The only thing that is crystal clear is that something in this marriage is very, very wrong. But Louise can't guess how wrong and how far someone might go to protect their marriage's secrets. If you win this book, please, please don't post spoilers anywhere (at least wait until after it's been out a few days and warn accordingly if you want to discuss it). This giveaway is open to Europe only and entry is via the Rafflecopter below. Aw I love this wee eye mask, gutted I missed this giveaway, thats what I get for not visiting in so long.